windows 7 – Jane Talks Tech! This is just a quick video I put together showing the entire installation process of BitDefender Total Security 2011 from start to finish. I’m still using BitDefender Total Security 2011 as my main internet security suite and I am still enthusiastic about the product & the security of my PC. I have to give the team at BitDefender props for being responsive to updates in other software that breaks *their* software. Case in point: Firefox 3.6.9 was just released and in short order, I was informed by the nifty plugin-checker tool in Firefox, that the BitDefender AntiPhishing toolbar was incompatible with the latest release. Almost immediately, I tweeted to the BitDefender account on Twitter about the issue. In less than 2 days, an update was pushed out that rectified the problem! happy @bitdefender released an update quickly for ff 3.6.9 antiphishing toolbar and outlook antispam issue. Without further ado, embedded in this post is the video I created (using the excellent Camtasia screencasting software) to show the installation process of BitDefender Total Security 2011. I installed BitDefender Total Security 2011 on my HP TouchSmart 600 and the experience was markedly different (positively) from when I installed it on my notebook! 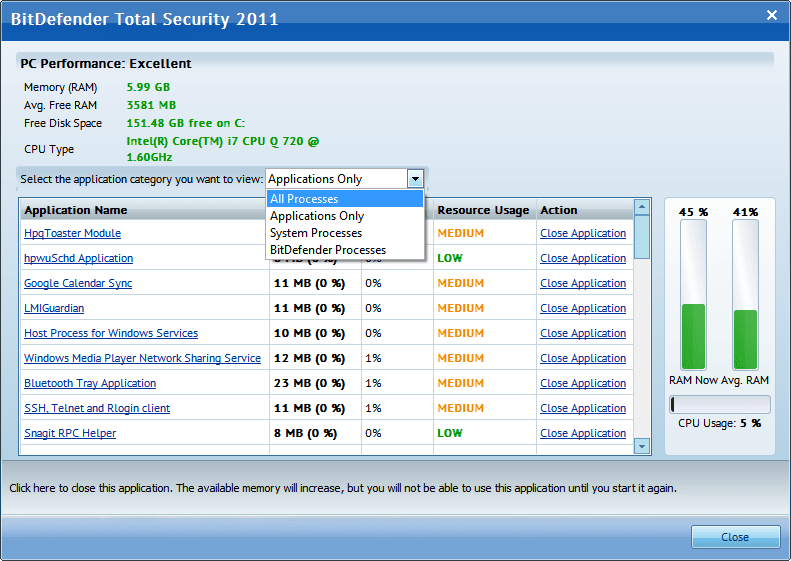 Read my initial impressions of the BitDefender Total Security 2011 software on my site. After over a year and some, I am giving BitDefender another try. 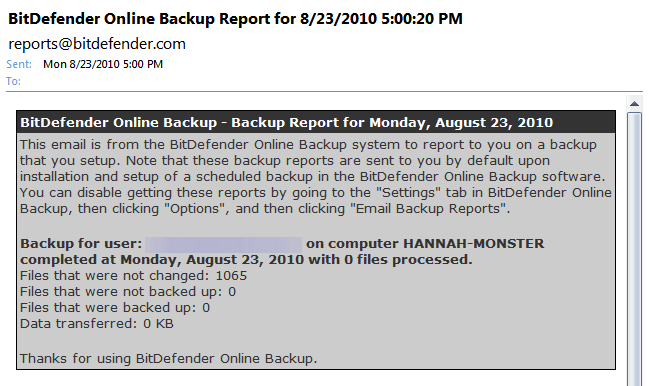 I’ve been an otherwise satisfied user of Norton Internet Security 2010 for over 15 months , but when I got an email from the Social Media monitoring team at BitDefender offering me the chance to give their latest 2011 security product a whirl, I was sufficiently intrigued and leapt at the opportunity. Installation of the program is straightforward and you get a chance to pick the best viewing mode for you to use the BitDefender Total Security 2011. 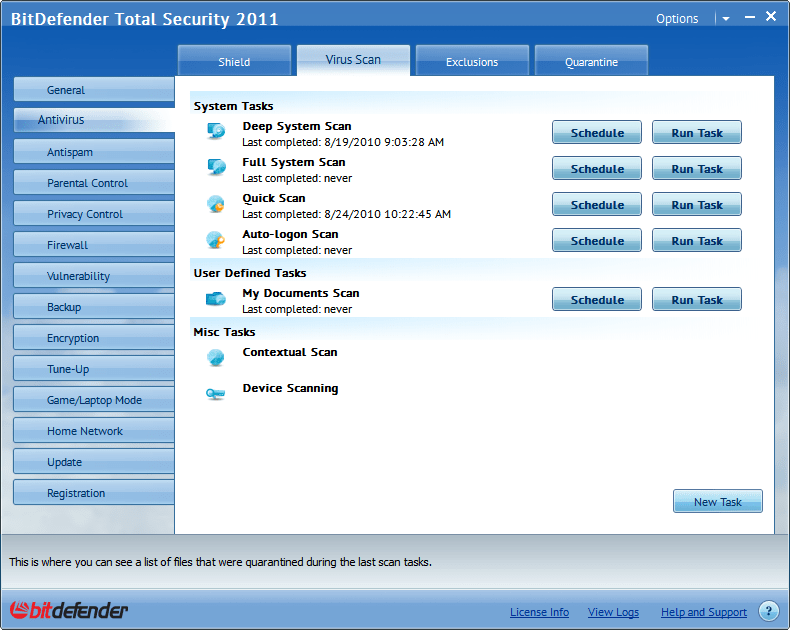 On-demand scanning with BitDefender Total Security 2011 is fast. I daresay it completed a full system scan in less time than it would take Norton Internet Security to perform similar task! My computer didn’t get bogged down appreciably so this is a huge positive. 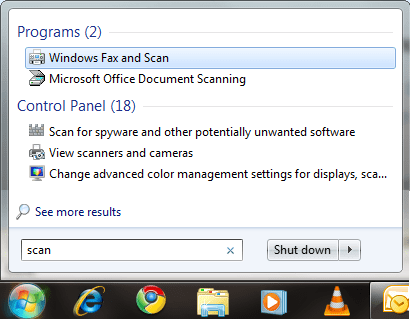 Like any Internet Security suite worth its salt, you can scan specific files via the Windows Explorer, perform quick/full system scans etc. 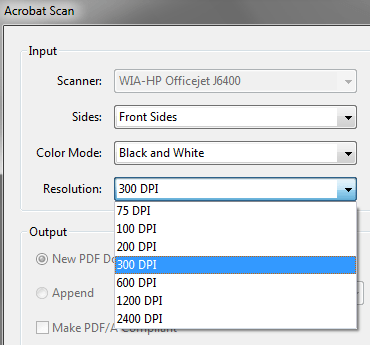 However, BitDefender adds a couple of useful scanning options like auto-logon scanning, device scanning and contextual scanning. This is one place that BitDefender Total Security 2011 scores a win against Norton Internet Security 2010. First of all, I didn’t have to download a separate add-on like NIS 2010 makes you. 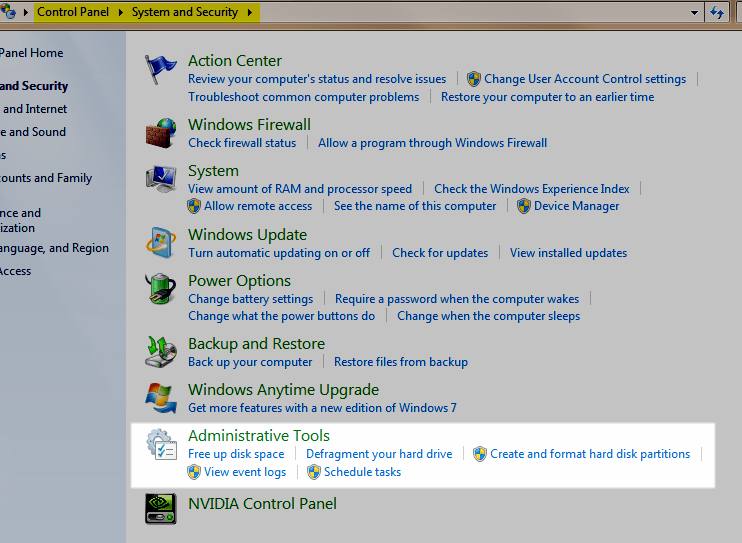 Parental control is already available in BitDefender TS 2011 and waiting to be turned on. With Parental Controls in BitDefender TS 2011, you can be as restrictive as you want even to the point of specifying applications (and times that said applications) can access the internet, specifying “forbidden” keywords that’ll cause a site/email not to load, specifying the child’s age and letting BitDefender decide what sites to block, et cetera. It’s incredibly granular and if you love messing with settings, you’ll fall in love with this feature. In an even more awesome ‘twist’, you can access the log from your online account at BitDefender! Alas, I have no kids, but I’ve turned on parental controls for myself anyway just for kicks. 😛 The image below shows the options available for using the Parental Control feature in BitDefender Total Security 2011. The Privacy control aspect of BitDefender Total Security 2011 covers the standard protections such as identity, registry & cookie controls which are meant to help prevent the leaks of private information (like social security number, house addresses, etc) or shady sites dropping cookies they have no business doing. Leave the default setting (identity control is enabled by default, but you have to add the items you need protected) as-is unless you really want to be notified every minute about what site is dropping a cookie on your computer, etc. 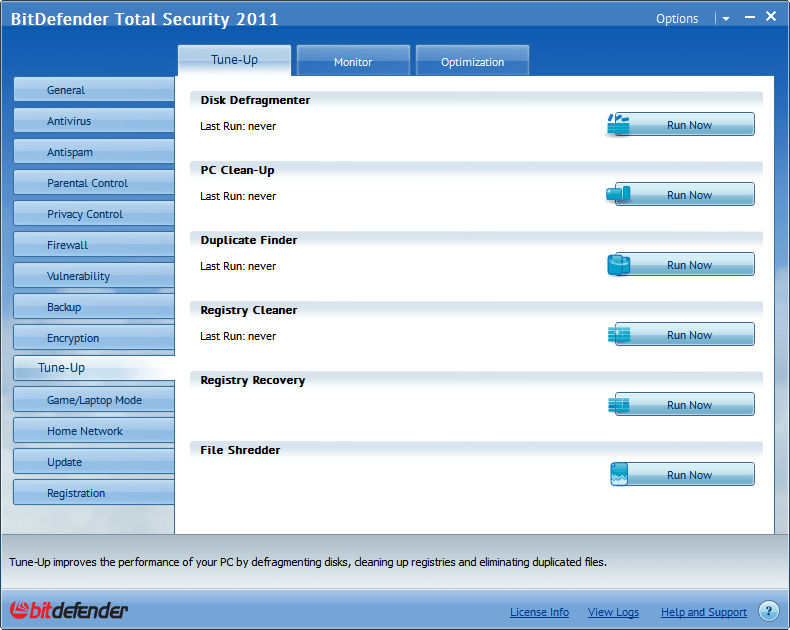 A lot of the tuning services performed by BitDefender TS 2011 can be done freely on your computer and truthfully speaking, I generally prefer to run those tune-ups with Windows built-in tools such as Disk Defragmenter or Disk Clean Up. However, BitDefender also lets you monitor your computer’s ‘health’ with this easy-to-use visual tool and lets you see & sort what programs or processes have been resource hogs. In fact, this tool reminds me of the Resource Monitor in Windows 7, but as you’ll see, BitDefender presents the information, quicker and in a more digestible format. Expectedly, you can only view this performance monitor if you’re in Intermediate or Expert mode. 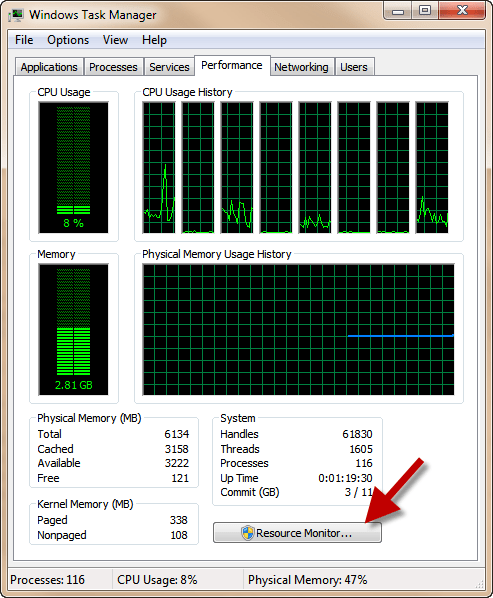 Sidenote: To access the resource monitor in Windows 7, start the “Task Manager” and navigate to the “Performance” tab. I had last used the 2009 version of BitDefender Internet Security 2009. Here’s what that product looked like. 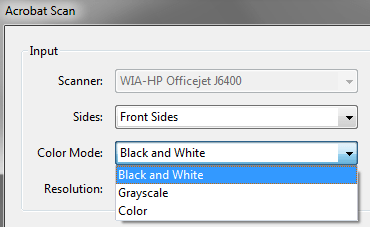 Since the 2010 and now, 2011 versions, the color scheme has changed from red to blue. The blue color scheme feels dissonant and at odds with the prominent red logo, but that’s just me being weird. 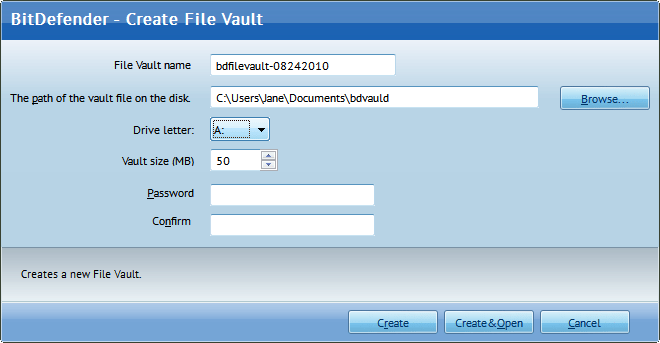 The Online Backup feature of BitDefender is only good for 2 gigabytes of data. 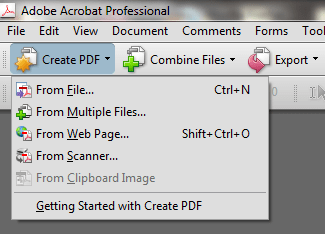 In my case, it’s next to useless, but I’ve saved a handful of files already just to give the feature a fair shake. 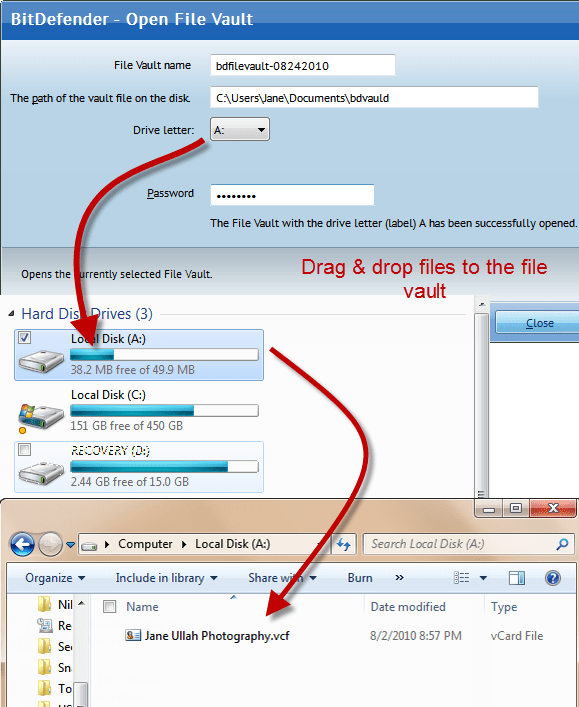 In any case, I strongly recommend a proper and dedicated online backup service like Carbonite or Mozy. Ability to turn off Antivirus or Firewall with 1-click (from the system tray) isn’t available. In Basic mode, you’ve got to make sure you enabled “Configure Firewall” and “Configure Antivirus” in order to cause those options to show up under the Security tab. Only then can you click on “Configure Firewall” or “Configure Antivirus” to turn off those features. In Intermediate mode, things are much better and you can turn off either the firewall or antivirus scanning with 2 clicks (navigate to the “Security” tab and click on the status you would like to turn on or off. Turning on/off the Antivirus/Firewall features in BitDefender’s Expert mode is similar to how one turns on/off AV and Firewall while in Intermediate mode. Overall, my peeve is that I can’t simply right-click the BitDefender icon in the system tray and turn the antivirus or firewall ON or OFF like Norton Internet Security 2010 does. During a scan, I wish BitDefender would allow you to click through to see suspicious items as they are being detected. Again, not a dealbreaker because after the scan is done, there is a summary that lets you see what further action needs to be taken. There are 3 entries for BitDefender as opposed to the typical single entry I’m used to from other applications. It’s obviously not a dealbreaker as it has the effect of getting me to the options quicker, but “cluttering” my rightclick menu. During the installation of BitDefender Total Security 2011, there was a ‘strange’ windows that showed avc3.sys was being installed. I didn’t get any warning about what this system file was, but I was concerned initially until I searched online & found that this was a BitDefender file. 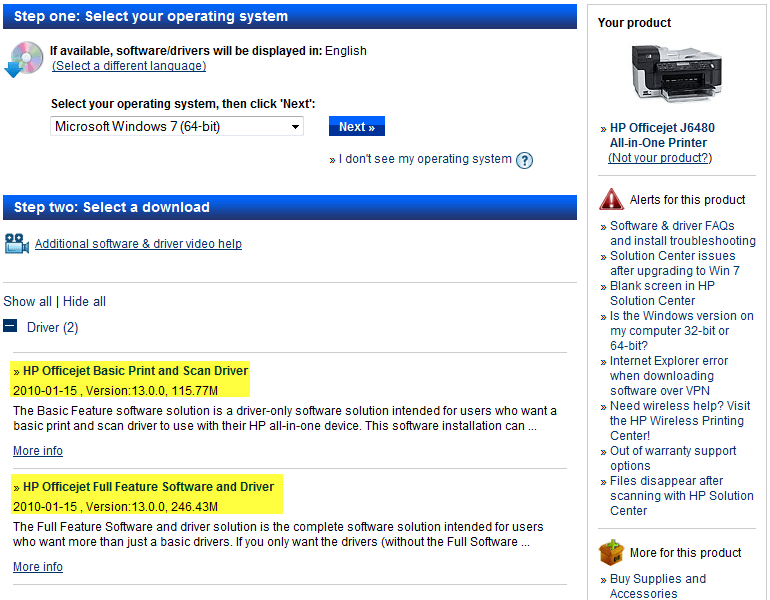 It would be helpful to be more explicit about what all is being installed to the computer. If it’s not information you wouldn’t want the customer to see, then, make it more hidden. Running the removal tool for that particular AV/Internet Security Suite. Here are the links for the major security products: Norton Removal tool, McAfee removal tool, BitDefender Removal Tool, Kaspersky Removal Tool, Removal Script for Comodo, and AVG Removal Tool. Don’t forget to restart your computer when done. That said, the issue I ran into while installing BitDefender Total Security 2011 (BitDefender TS 2010) was that the program was unable to register my copy or update definitions because BitDefender TS 2010 alone couldn’t connect to the internet. It was after some online sleuthing that I discovered that I might need to run the Norton Removal Tool. Another trick, that I didn’t try, could be disable BitDefender’s Firewall according to this BitDefender forum post, but I didn’t try that out.In any case, I would recommend you do your research online, search your AV/Internet Security website’s forums and contact the support folk as well. Ease of use: BitDefender wins big time here. I love the 3 modes (Basic, Intermediate and Expert) that let you have access to as much or as little information you want. Proactive Stance of BitDefender: Not only is my notebook being actively protected against malware, but BitDefender Total Security 2011 goes the extra mile with the addition of encrypted files/chats, parental/privacy controls that prevent your personal info from being compromised, and automated local and online storage! Use of Computer Resources: BitDefender doesn’t slow my computer down which is great. It’s on par with NIS 2010, but it feels marginally faster than Norton. 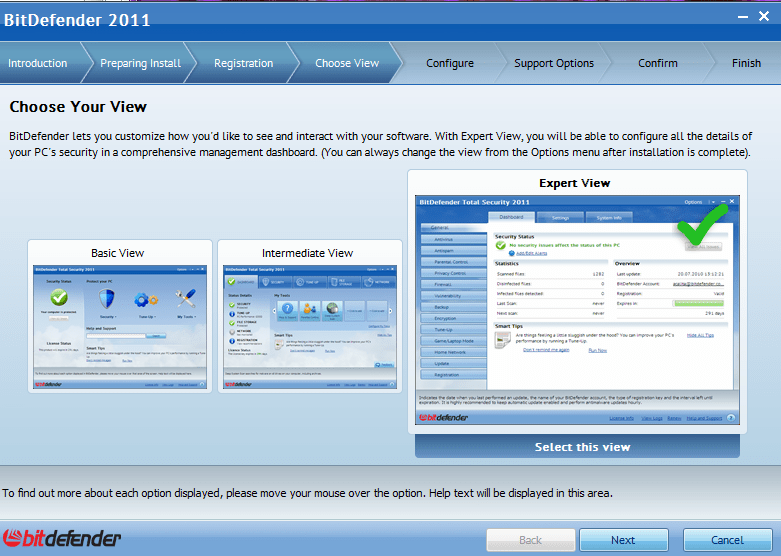 Network management: The interface for the network management feature is well designed. I love having the ability to update definitions or start a scan on computers in my network. Based on the above, I call BitDefender Total Security 2011 a keeper. *throws confetti* If your antivirus subscription to a competing product like Norton or Kaspersky is running out, take a good look at BitDefender Total Security 2011 for your needs. Visit BitDefender.com and the BitDefender online store for more of their offerings. Disclosure: I received a free license for 1 year to try BitDefender Total Security 2011. I look forward to reading your comments, experiences or corrections!